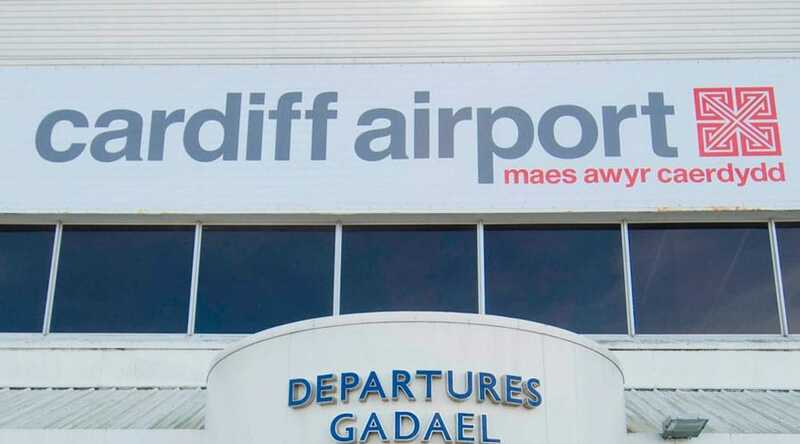 Located on the South coast, Cardiff Airport is a central hub for commuters travelling to and from Wales for both business and pleasure. Whether you’re heading to Cardiff for a short break or travel frequently for work, Starr Luxury Cars can help to continue your five-star travel experience, providing a personal chauffeur for Cardiff Airport pick-ups and drop-offs. Having chauffeured a wide range of clients for many years, we understand what’s important to you and provide a professional, discrete service suitable for personal use, client hire or VIPs. Pre-booking a Cardiff Airport chauffeur allows you to make your journey quickly and safely, ensuring you can spend as much of your free time as you wish. Each member of our team of professional chauffeurs has been carefully selected based on their experience, quality of service and professionalism. Picking up anywhere in Cardiff and driving to Cardiff Airport or any surrounding areas, your personal chauffeur will manage your transportation, allowing you to work or relax freely, safe in the knowledge that you will arrive at your destination as quickly as possible. To ensure you’re well cared for from the moment you’re picked up, your chauffeur will handle the loading and unloading of your baggage, allowing you to familiarise yourself with the luxury hire car of your choice. Pre-booking your Cardiff Airport luxury transfers with Starr Luxury Cars will allow you to avoid crowds and waiting times as we guarantee to be ready and waiting at your pre-selected time. Having provided highly-recommended airport chauffeur services for many years, we also understand that, on occasion, your flight times may be subject to change. Should this happen, we will monitor your live travel information, ensuring that your prestige chauffeur-driven car is available for you regardless of the time you arrive at Cardiff Airport. For those travelling from Cardiff Airport, your first-class treatment doesn’t have to stop on arrival. You have the option to add on our airport assistance and hostess service, providing further support and help up until your flight leaves for the ultimate luxury airport package. Your professional hostess will help with your luggage and flight preparation, ensuring you board feeling calm and relaxed. Starr Luxury Cars are proud to hold the largest fleet of prestige cars for hire for airport transfers, including Mercedes, Maybach and Rolls-Royce, perfect for any occasion. Each of our cars is regularly serviced and maintained to ensure you experience all the comfort each has to offer. Many of our models have state-of-the-art features and technology, allowing you to work or relax as you please. For an extra special journey, you may choose to select from our range of additional extras, including premium champagne and vodka, bouquets of flowers or even a bodyguard service, tailored to suit your individual requirements. Each can be added at the time of your booking through our online system or via our expert team, who are on hand to ensure you have a memorable journey to or from Cardiff Airport.